I have been obsessed with this Bambi cup I aquired from a second hand store for 50 cents. It’s the cutest cup EVER. It’s a bit tiny, but I drink coffee, juice, tea, and water in it. I’ll even practice pouring art in it. 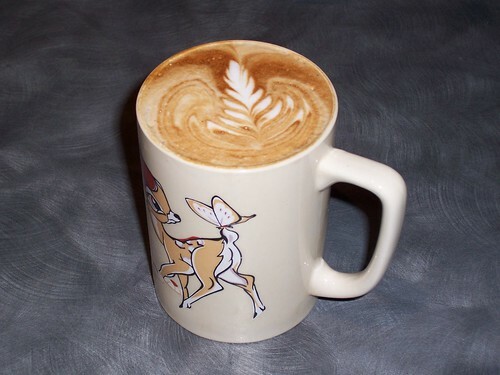 I think the Bambi cup is the best cup of the month.